News from Cooperative Baptist Fellowship General Assembly, 2013…Moving forward with faith, hope, and courage! 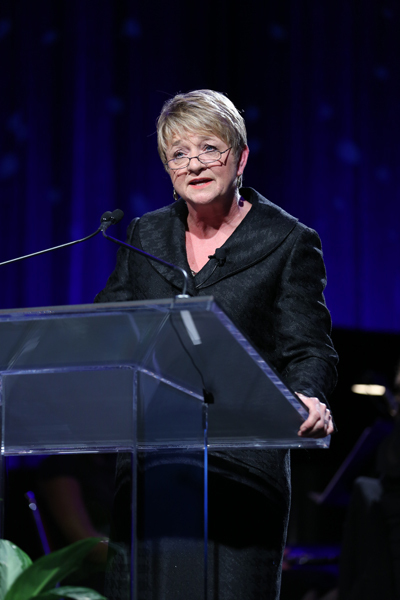 GREENSBORO, N.C. – In the final session of the 2013 General Assembly, Cooperative Baptist Fellowship Executive Coordinator Suzii Paynter delivered an address focusing on CBF’s shared values and mission. “Hold these things in common, and you can run the race,” Paynter said. As she recognized the work of Fellowship partners, ministers and volunteers in the crowd, Paynter told the audience of Cooperative Baptists that “we can be alone or we can be a Fellowship” of churches and ministries, united in common identity, compassionate ministry and mission work.